As my friend David and I were being hurled around the mosh pit at the Terminal 5 show of legendary post-rock ensemble Mogwai, I thought back to how earlier that day I had assured my mom that there wouldn’t be any moshing. “Mom,” I said, “Mogwai’s music is too ambient to mosh to.” Post-rock is an ambient genre, that’s true; it’s ethereal and sedate. 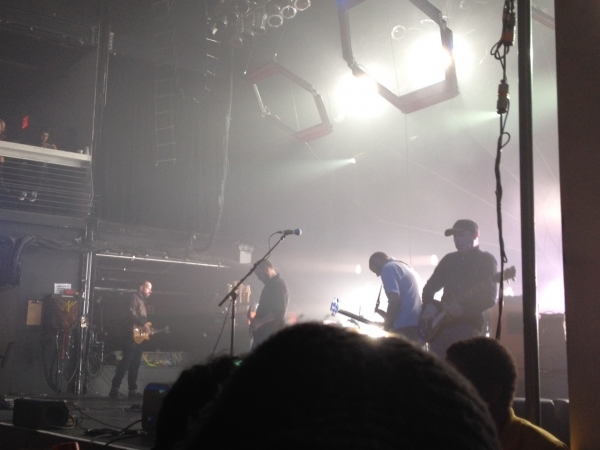 However, it can often get pretty heavy, and Mogwai totally proved that on Friday, May 9. A little after 9 pm, Mogwai began the show with the mystical “Heard About You Last Night” from their newest album Rave Tapes. Their most popular track “Take Me Somwhere Nice” (it has over 9,000,000 views on YouTube) was definitely one of the most poignant, heavenly moments of the night: it was seven minutes of serene violins and dreamy riffs. “Ithica 27ø9” followed, packed with waves of awe-inducing strobe lights and raging, yet beautiful guitar chords. After “Ithica,” David and I pushed our way through hoards of pissy, contemptuous hipsters to the mosh pit area so we could be part of the commotion. “Remurdered,” another Rave Tapes track, came towards the end of the night. It was filled with epic drums, intense synths, and a bunch of sweat-drenched, energetic Mogwai fans jumping to the beat. After immense clapping and endless cries for more Mogwai, the British post-rockers retook the stage and played an amazing three-song encore. I loved “Mogwai Fear Satan.” For 16 minutes, the track shifted between intimate riffs and powerful musical explosions, while David and I got caught in a hurricane of extreme mosh. 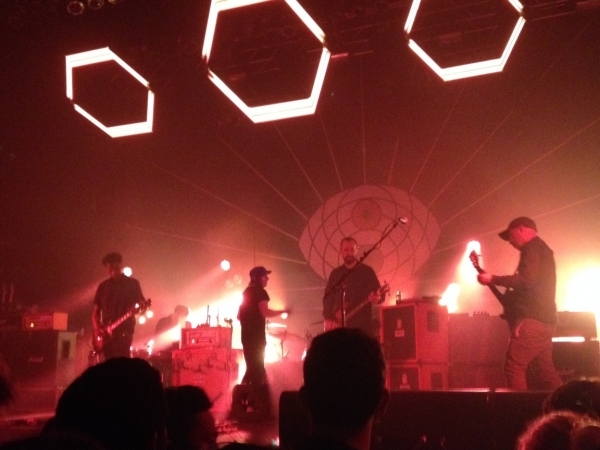 Mogwai’s Terminal 5 gig was visually intriguing and musically virtuosic. Although I wouldn’t mosh again, it was a fun and exciting experience. You gotta check out Mogwai when they come to a venue near you.